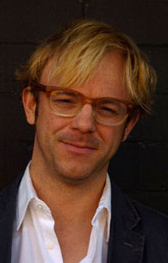 Justin Townsend is an international lighting and set designer for performance. He holds an MFA from California Institute for the Arts in Theatrical Design and a BA from the University of Massachusetts at Amherst in Theatre with a minor in Studio Art. Additionally, he has trained in Saratoga Springs with the SITI Company as a part of their summer intensive as well as in Los Angeles. His Broadway lighting designs include: A Night With Janis Joplin; Vanya and Sonia and Masha and Spike; The Other Place and Bloody Bloody Andrew Jackson, for which he was nominated for an Outer Critics Circle Award and a Henry Hewes Award. Additional awards include: Drama Desk for Here Lies Love, The 2006 USIT Rising Star Award, IRNE Award for The Blue Flower and two Elliot Norton Awards for The Blue Flower and The Onion Cellar. He has been nominated for many others including Audelco, Lucille Lortel, Ovation, and Helen Hayes. Mr. Townsend is a member of the Obie-winning Theatre of a Two Headed Calf. In 2011, his work was featured in four productions in the American Exhibit at the Prague Quadrennial. Broadway: A Night with Janis Joplin; Vanya and Sonia and Masha and Spike; The Other Place with director Joe Mantello; Bloody Bloody Andrew Jackson with director Alex Timbers (Outer Critics Circle nom., Henry Hewes nom.). Off-Broadway: Here Lies Love (Drama Desk), Vanya and Sonya and Masha and Spike (Lincoln Center), Milk Like Sugar (Playwrights Horizons), The Other Place (Manhattan Class Company), Unnatural Acts (Lortel nom.) and Galileo (Classic Stage Company), Lucy Thurber's Monstrosity (13P), Opus (Primary Stages), Speech and Debate (Roundabout), Eve Ensler's The Treatment (Culture Project), Food Project (Lightbox), Drums of the Waves of the Horikawa (Theatre of a Two Headed Calf), Beauty on the Vine, Palace of the End and Mahida's Extra Key to Heaven (Epic Theatre), On the Levee and Luck of the Irish (LCT3). Additionally, he has made Three on a Couch, Thirst, The Fever Chart, and Unanswered, We Ride with his wife, director and performer, Elena Araoz. Regionally he has worked at such companies as American Repertory Theatre (Elliot Norton Award for The Onion Cellar; IRNE and Elliot Norton Award for The Blue Flower), Alliance Theatre, Arden Theatre, Arena Stage, Baltimore Center Stage, Bard SummerScape, Boston Court, Cincinnati Playhouse, Cleveland Playhouse, Commonwealth Shakespeare Company, Folger Shakespeare Library (Helen Hayes nom. for Hamlet), Georgia Shakespeare Festival, Hartford Stage, Huntington Theatre, Intiman Theatre, Kirk Douglas Theatre (Ovation nom. for Apollo), La Jolla Playhouse, McCarter Theatre, The Old Globe, Oregon Shakespeare Festival, and PlayMakers Rep. Internationally his work has been seen at the Edinburgh Fringe Festival, Festival Frictions in Dijon France, Prague Shakespeare Festival, and in Cabaret Unkempt by Jennylin Duany which toured Central America, initially created in Miami, Florida. He developed a Tastiera Per Luce, or light organ, with collaborator Anna Gawboy to invoke the ideas of Alexander Scriabin’s Prometheus, which has been featured in performance at Woolsey Hall at Yale University, Cape Cod Symphony, and Utah State University. Recent work includes: A Night with Janis Joplin on Broadway and throughout the country on a regional tour, Paul Bunyan with director James Robinson and conductor Stephen Lord at the Paramount in Boston, and Odyssey with Lear Debessonet at the Old Globe’s outdoor stage. Additional work includes: You, My Mother with Two Headed Calf at the Ellen Stewart at LaMama; 39 Steps at Portland Center Stage with director Nancy Keystone; Major Barbara with Two-Headed Calf (created first at the University of Rochester International Theatre Program and then recreated at LaMAMA Annex); Dysphoria and Top Ten People of the Millennium Sing Songs of Schubert, both directed by Alec Duffy; Bone Portraits and St. Joan of the Stockyard both with Lear Debessonet; Twelfth Night and Miss Julie, both directed by Jen Harvey.